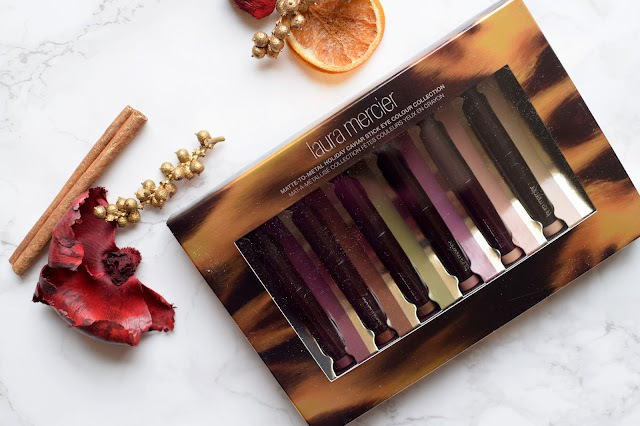 For Christmas I was lucky enough to get this Laura Mercier Matte to Metal Holiday Caviar Stick Eye Colour Collection (that's a mouthful!) from my lovely boyfriend! I've heard so many good things about the caviar sticks and I thought getting the set of minis was a great way to try them out properly. This little holiday set comes with 6 minis, two of which are brand new matte shades. 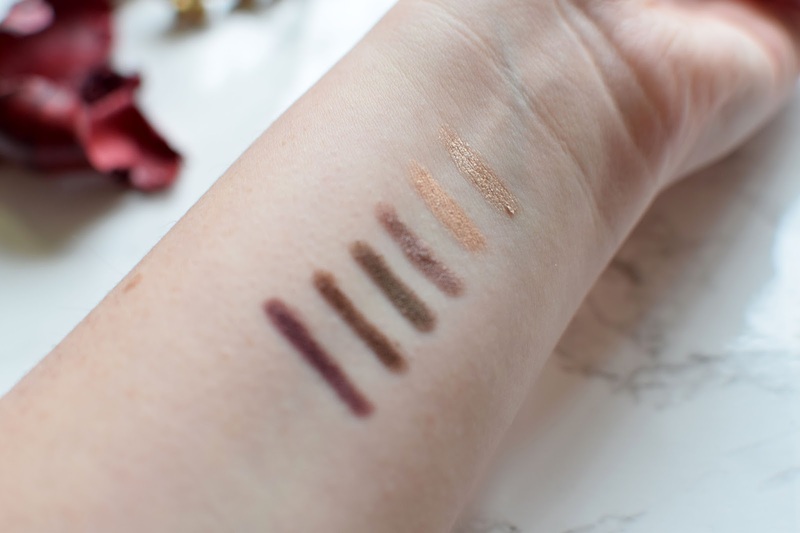 The swatches from left to right are Aubergine (a semi-matte warm plummy shade), Ganache (a semi-matte medium orange toned brown), Khaki (a pearly olive green with green shimmer), Amethyst (a bronzed taupe with a metallic shimmer), Rosegold (a warm golden coppery pearlescent shade) and Sugarfrost (a shimmery metallic champagne gold). When people say eyeshadows are creamy, these are the epitome of creamy, they're so so buttery soft! They glide onto the lids so effortlessly! They're super blend-able but they dry quickly so make sure you blend them in quickly! The fact they dry so quickly makes the staying powder fab! The pigmentation is so good, the mattes are just as gorgeous as the shimmers. 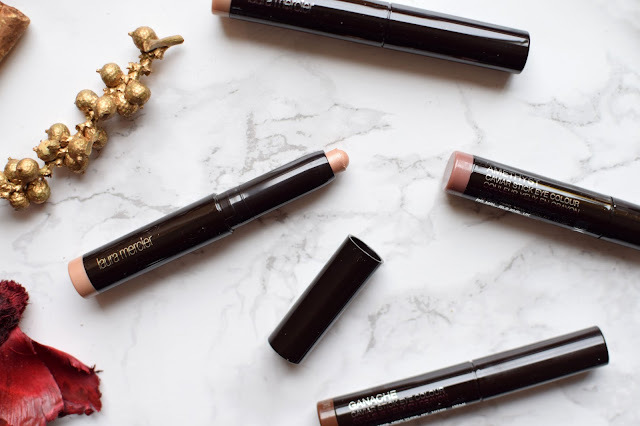 For something quick and beautiful on the eyes these are second to none, I even prefer them to the Charlotte Tilbury Colour Chameleons. There isn't a shade here I don't like, they're all super wearable! 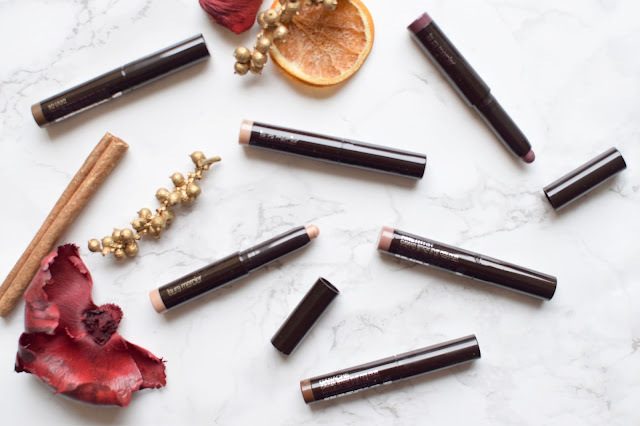 Have you tried the Laura Mercier Caviar Sticks? I really like the Khaki and Amethyst tones. Do they look as lovely on your lids? 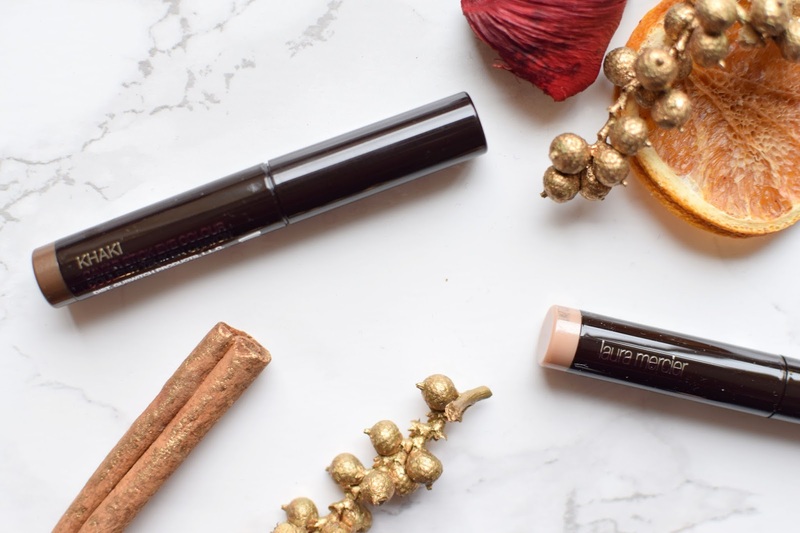 These sound like a dream to apply and all the shades look gorgeous. I think Rosegold is my favourite!